Handmade Multi-Gemstone Heart-Shaped Dangle Earrings, "Maharajah's Treasure"
Designer Priyanka Gupta presents this gorgeous pair of multi-gemstone dangle earrings. 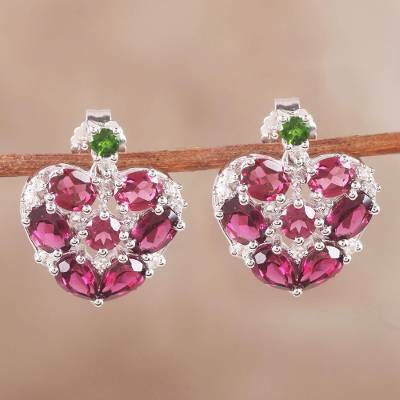 Each earring features a single, faceted chrome diopside stone that sits at the top, with seven faceted rhodolite stones making up a beautiful heart shape. 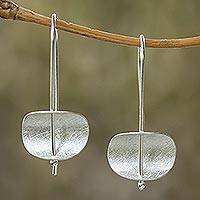 Faceted round white topaz shimmer from the spaces between the other stones. Handcrafted from rhodium plated sterling silver, each stone glistens spectacularly from prong settings.